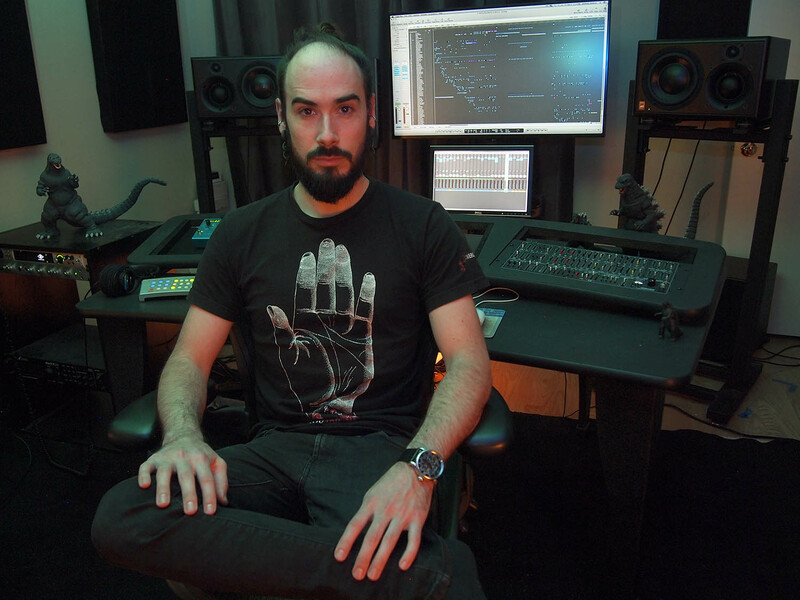 LOS ANGELES, CALIFORNIA – NOVEMBER 2018: Anthony Baldino is a composer, sound designer and electronic musician based in Los Angeles. 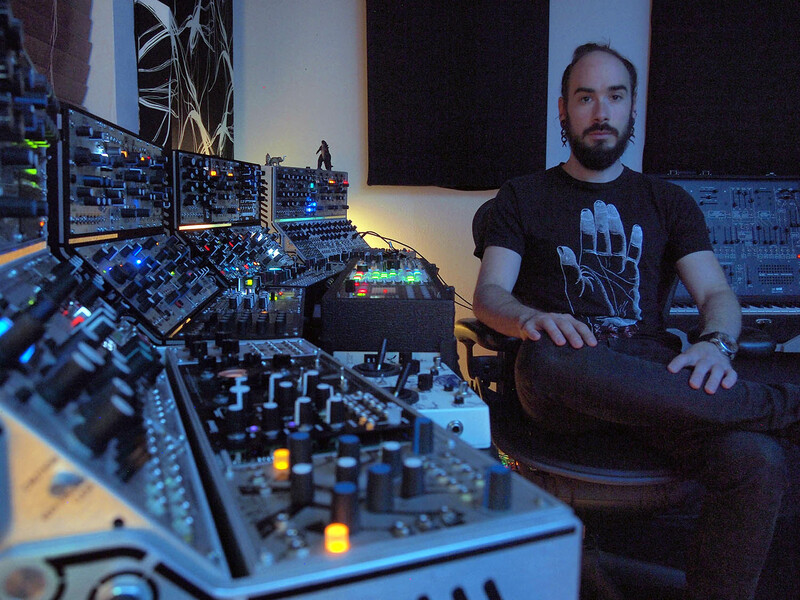 His most recent assignment was to create the arresting sound design, alongside longtime friend and sound designer Chris Lane, for the Marvel movie Venom, in which he plied his massive collection of hardware synthesizers and hand-picked effects software to build, mangle, and polish an unnerving soundscape that matches the dark themes of the movie. However, he is best known in the industry as a go-to composer for trailers; Baldino’s credits include the trailers for Star Wars: Rogue One, Avengers: Infinity War, Prometheus, Interstellar, and Ex-Machina, to name a few. In the rare moments when he isn’t working on a new composition laden with sound design out of his home studio, Baldino taps his first love of music, playing shows around town or working on new stand-alone material. For all of it, Baldino relies on his ATC SCM25A monitors and his Subwoofer Pros Studio Sub 12 subwoofers to hear and remove all of the elements and frequencies that are unnecessary in order to make plenty of room for all of the elements and frequencies that are essential. When it came time to get into high-end monitors, the helpful staff at Westlake Pro let him take monitors home to try out, but nothing seemed worth the expense until he heard a pair of 3-way ATC SCM25A’s. “It was another one of those ‘I get it!’ moments,” he said. “I put on all my favorite tracks and was just blown away by all the details in these songs that I knew front to back that I had never heard before.” The SCM25A’s produce flat bass down to around 50Hz, and Baldino paired them with a stereo set of Subwoofer Pros Studio Sub 12 subwoofers to take his system down to 20Hz and lower.